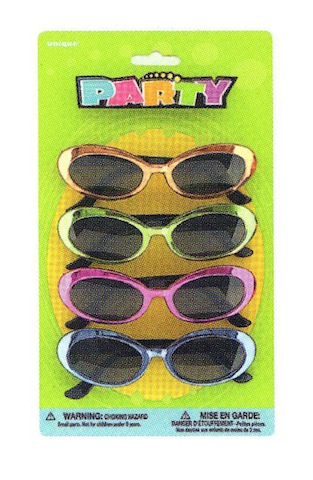 Chill out with your party guests in these cool and flashy sunglasses. Comes in assorted colors. 4 glasses per pack.